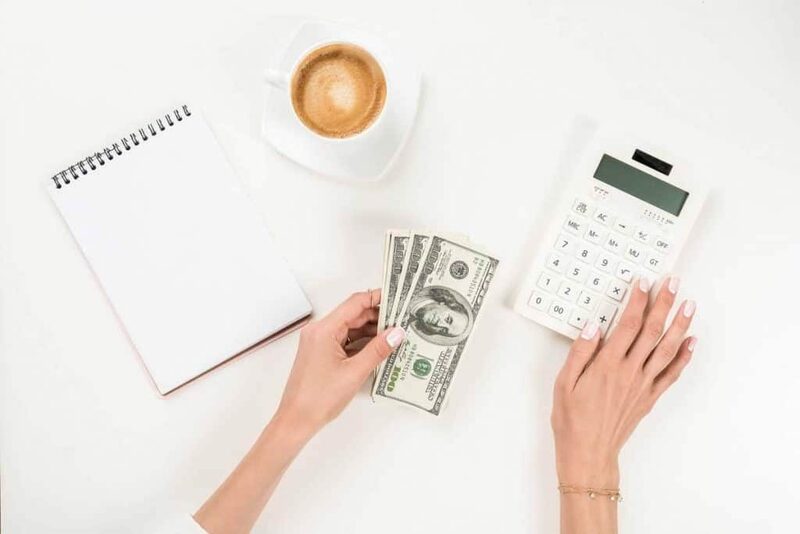 When it comes to running a household, one of the most important things you need to know is how to organize your finances. Then, to save yourself a lot of time, trouble, and stress, the best thing you can do is figure out how to keep them organized. Money shouldn’t be the most important thing in our lives, but it does have the power to both interfere and contribute to our happiness. We need it to purchase necessities and if we manage our money well, we can afford to do and buy things that make life more fun or more comfortable. The best way to use our money wisely is to have a good system for keeping our finances organized. Today, I’m sharing simple tips for how to organize your finances that you can start using today to gain immediate control over your money. The following steps are very simple in that you don’t need a finance degree to understand them. They might be difficult though if you’ve neglected your finances. If your financial life looks like your kitchen junk drawer, you might have to face some unfortunate realities. But, the sooner you do it, the sooner you can get rid of the clutter and start building towards the future you want. So, even if you find yourself cringing at some of these steps, don’t run away from the challenge. In as little as a month, you’ll begin to see the positive effects of being financially organized. These numbers are just for you so don’t be afraid to be completely honest. Don’t write down what you think the balances SHOULD be or what you’d like them to be. Write down the actual balances as of this moment. Now is the fun part! Once you have a clear picture of your current financial situation, you can set some goals. This is where you finally get to dream a little and focus on what you want. First, start with realistic short-term goals. Look at your balances and determine which ones stand out to you. Did your current credit card balance make you sweat? Was your savings account balance enough to cover an emergency? Are your investments under-performing or non-existent? Depending on what stood out to you above, your first goal should be to address that concern. Next, think beyond your current situation to your ideal financial situation. Do you want to be able to take annual vacations? Pay for your kids to go to college? Build a dream home? Retire early? Write down your dreams! This is so much more powerful than people realize. Once you have it down in black and white, you will subconsciously work harder to achieve it. It is essential that you figure out how your money flows in and out of your life. If you keep great records, you can simply pull this information from your past month. If you don’t have a record-keeping system in place, start tracking all of your income and expenses now. Record every penny that you earn or spend for the next 30 days. This might seem like a lot of work, but it’s vital to smart money management. If you are like most people, you severely underestimate your monthly spending. This exercise will open your eyes to your true spending habits. If you haven’t followed a budget before, I want you to throw out whatever notion you have of how a budget works. You don’t have to track every penny for the rest of your life and you don’t have to live within the confines of a strict budget. However, you should set some parameters for yourself so your spending doesn’t get out of control. Use this budget template from Navy Federal Credit Union to set your expectations and track your monthly results. Unlike the cash flow exercise, you don’t have to include every single transaction. I skim my credit card statement and bank statement and round to get a close estimate of my spending in key areas like groceries, gas, and household items. I don’t care about tracking my spending to the penny, but I do care if I’ve spent twice as much on groceries for the month than normal. Tracking expenses on a simple worksheet makes it easy to see when things are awry so you can make changes before financial problems compound. 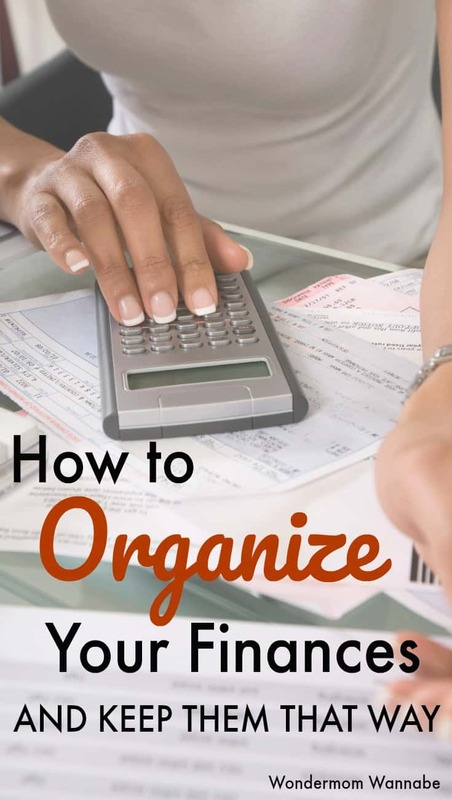 Once you’ve gotten your finances organized, the tricky part is staying on top of them. Here are a few simple tools and habits to make the job easier. Since most of your spending will take place away from home, it only makes sense to be able to manage your money on-the-go. If you haven’t already, sign up for mobile banking with your bank. Most banks offer this now and some, like Navy Federal, even provide you with helpful video tutorials and easy to follow instructions to help you learn how to use the system. 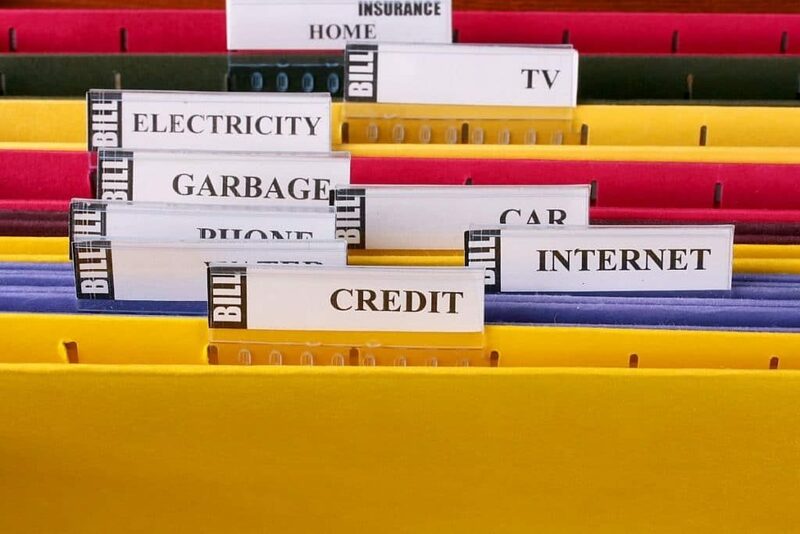 There are dozens of apps that help you track expenses from your smartphone. Just search “money management apps” to find reviews of the various apps available so you can choose the right one for you. Many will sync with most, if not all, of your financial accounts to give you detailed, current information. I’ve tried several and though the bells and whistles are nice, I prefer a basic app that lets me simply input expenses while I’m out and about. One of my biggest fears is that I’ll lose or misplace important documents. This is especially true when it comes to financial information. That’s why I back up everything to cloud storage so that I know where to find it and can access it from anywhere. Whether you use Google Drive, Microsoft OneDrive, or Dropbox, set up a financial folder and then sub-folders for each of your financial accounts. Then back up all statement and important documents to the related folder. Ready to dig in deeper? Check out these other resources for managing your money.